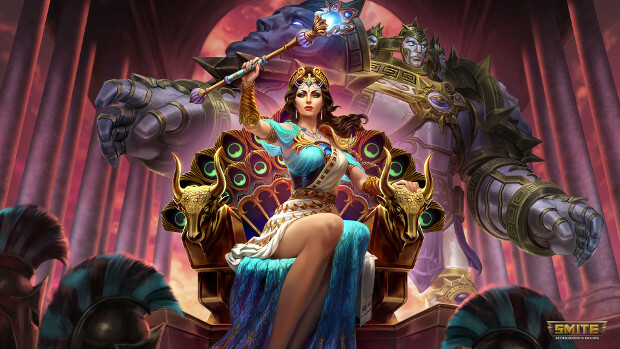 As is well known by now, SMITE‘s next update will finally introduce the goddess Hera, queen and the most divine of all gods. Last week, we posted the lore video dropped by Titan Forge Games. Following that, Titan Forge released patch notes for Update 5.19 detailing Hera’s abilities. Unfortunately, I missed seeing the patch notes until today. But, that’s okay, because now we have the God Reveal video which offers an in-game look at how Hera’s kit works. I won’t go over the abilities here, since the video below will do a much better job. I will, however, tell you to check out the patch notes because, as always, the SMITE team has rolled out some really cool skins. Seriously, if you haven’t seen the Godscylla Scylla skin you are missing out.